Offering a selection of aerosol, foam and paint products designed for general beast identification and antibiotic management programmes. These products are used on farms all over New Zealand and are exported to Brazil, Australasia, the United States and all around the world. 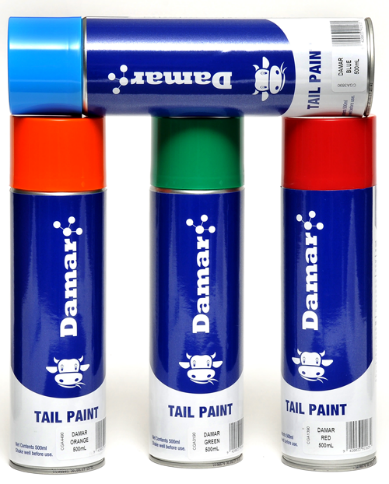 High pigment general purpose tail paint and animal marker available in 7 colours. Formula is weather resistant and created to be a non-irritant. Quick and easy to apply for Heat Detection or General Identification. It provides a strong, easily recognisable colour mark. Properly applied, Damar marker will last 21 days on cows that have not cycled, depending on conditions. Oestrus activity is indicated by rubbing or removal of the paint patch. This fast drying formula is made for long lasting highly visible mark on cows. Available in 7 vivid colours, it is quick and easy to apply for (oestrus), Heat Detection. Specifically designed for use on cows udders. The low irritancy formulation ensures there is no discomfort to the cow. 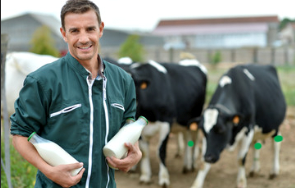 Designed for Mastitis and Antibiotic Programme Management. Vivid colours are clearly identifiable on the udder. Damars’ 360° valve allows the product to be used at any angle, including upside down. • Visible up to 8 days.